Which Foods Naturally Increase Brain Power? The best source of omega-3 fatty acids can be found in fish such as salmon, mackerel, and sardines. Alternatively you can take a good quality fish oil supplement that provides between 3-4g combined EPA and DHA per dose. 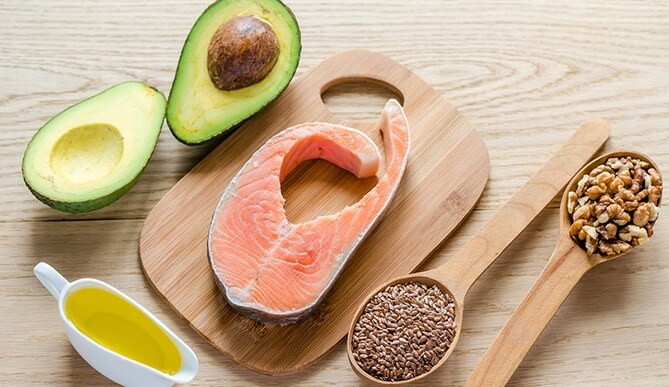 Omega-3 fats have benefits across all age groups, from foetal and infant brain development, right through to prevention of age-related cognitive decline and reduced risk of Alzheimer’s Disease and dementia. Blueberries have impressively high antioxidant levels that may improve brain function by strengthening communication between brain cells, helping to improve memory. The antioxidants in blueberries are also associated with a reduced risk of age-related cognitive decline, especially in the elderly. Eggs contain choline, a compound that is not only essential for the transport of fat in the body, but is a precursor for the neurotransmitter acetylcholine. Acetylcholine helps to regulate memory and improves mood. Most of the choline in eggs is found in the yolk (115 mg/yolk). Women need at least 425mg choline per day, and men 550mg/day! Everybody likes to hear that chocolate is good for you, and this is no myth! Cacao and dark chocolate (think 70% cacao content and above) is packed with a group of antioxidants called flavonoids that have been shown to improve mental performance, memory and mood. Used strategically, the caffeine in coffee increases alertness, improves focus and concentration. Drinking coffee before exercise, an exam or other mentally demanding task might be just what you need to optimise your performance! Be conscious of consumption however, as caffeine after 2pm may affect your sleep. And poor sleep quality has a direct negative impact on the health of your brain!